Project management is a challenge for all businesses, especially those that are co-ordinating numerous employees across the globe, all with their own tasks and deadlines. Putting everything down on an Excel spreadsheet has been the go-to planning tool for many over the past three decades. It serves a useful purpose. Excel provides a grid interface to organise nearly any type of information. This allows you to work with text, numbers and dates in an easy-to-comprehend format. While Excel is an excellent tool, it is not tailor-made for project and resource management. Cracks start to show as teams grow and the number of resources (people, machinery, equipment, offices) and projects increases. Industries such as manufacturing, construction, charities and NGOs all need to plan ahead and make sure they aren’t overbooking and under resourcing national and global projects. Swapping to a resource management tool takes the Excel spreadsheet to another level. Businesses can keep on top of important and costly projects, avoiding too many headaches along the way. Excel fails as a collaborative tool as there’s a time-lag in communication. This is because changes are not seen in real-time. Think about a business within the manufacturing industry. They are reassigning machinery constantly, from one project to the next. What if one piece of equipment needs to be kept on site for a few extra days? One project manager decides to put this into Excel, whilst another is thinking of moving it elsewhere and does the same. Suddenly you have a conflict of interest that for now is unknown. A costly error to correct. It’s hard to track workloads and utilization of staff, if you can’t see what they’re doing, and not doing. As an employer, using Excel makes it very difficult to fully comprehend what your staff are working on and if they are being used to their full potential. There is also an issue around adding in employee travel time between different projects. This can lead to one of two options: risk of unchallenged employees or burnt-out ones. Overstretched employees can present a variety of issues, including poor performance and ultimately the loss of valued staff members. Neither is a great option for any business. Mistakes can be made more easily when using Excel, for example, resource overbooking and missed deadlines. Not knowing who’s doing what can mean a meeting room is double booked or a member of staff is unavailable. In the construction industry alone, 60% of projects in the UK were found to have missed their deadlines by the Department for Business, Innovation and Skills. That’s an enormous amount of money wasted. Correcting these mistakes can be time consuming. Additionally, checking and double checking the spreadsheet so that it reflects the true status of relevant resources and projects can take hours. Excel’s failure to allow access to a communal planner is a huge issue. This is where a resource planning system really comes into its own. Multiple projects can be viewed at any one time, with utilisation graphs giving staff a clear understanding of how resources are divided across them. Knowing the clear delineation of a project from the day it starts, to the day it ends, allows businesses to track its timings, making sure each aspect of the job is keeping to the required deadline. Missed deadlines can be immediately identified and actioned, whilst issues such as double-booked meeting rooms or equipment can also be viewed and dealt with before too much time is lost. Shortfalls in resources can also be flagged up well in advance of a project beginning, allowing enough time to arrange adequate cover. The best resource management tools allow staff to look at a project in the smallest of detail or as the bigger picture across the company’s workload. Transparency on where the business is going in the weeks, months and even years ahead can help the organisation streamline its resources and manage its tasks efficiently. Both of course, can save money in the long run. Miscommunication can cost businesses millions of pounds each year. An internatonial survey conducted by the Independent Directors Council interviewed key staff from 400 companies. It found that companies with 100,000 employees were losing $62 million (£43 million) per year on average due to misunderstandings. Financial losses are not great for any business, even more so now in times of poor economic growth and recovery. If everyone within a business has exactly the same amount of information in front of them, at least they are able to make the same assessments as the rest of the team. Using a resource management tool gives back total control to the managers co-ordinating huge and costly programmes. Seeing the entire project, or multiple projects, laid out across one piece of software offers stability and reassurance. Industries share a common requirement to keep operational costs low and to hit deadlines. Anything that can help companies stay afloat and thrive can only be a good thing. Sorry Excel, project managers need resource management tools to thrive and survive. Ganttic is high-level, online resource planning software, which can be used for managing a project portfolio, while also planning resources with maximum efficiency. With Ganttic, you can create clear and comprehensive visual plans that give you an instant overview of all your resources and projects. Ganttic is highly flexible, designed to be used in whichever way that fits your organisation’s needs. 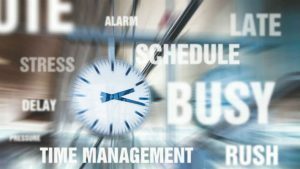 Whether you are looking to build a very simple resource scheduling system, a complex resource management system, or something in between, Ganttic can help you to get things done efficiently and on time. Ivar Veenpere is co-founder of Ganttic high-level resource planning software. With a degree in cybernetics and a lot of experience in business leadership, Ivar makes sure Ganttic works. Be it marketing, HTML or payment related issues, you can be sure he knows it through and through.